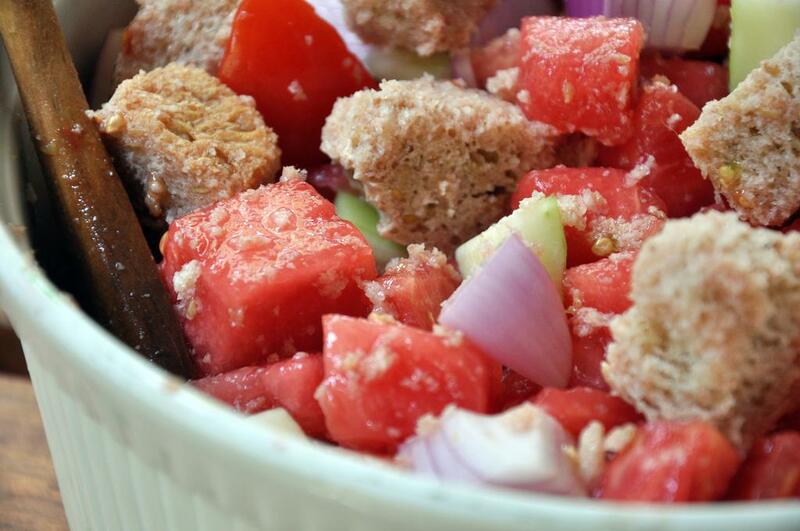 In a large bowl, toss watermelon, tomatoes, cucumber, hot pepper, garlic, bread and salt. Let sit for one hour so the bread can absorb the liquid. 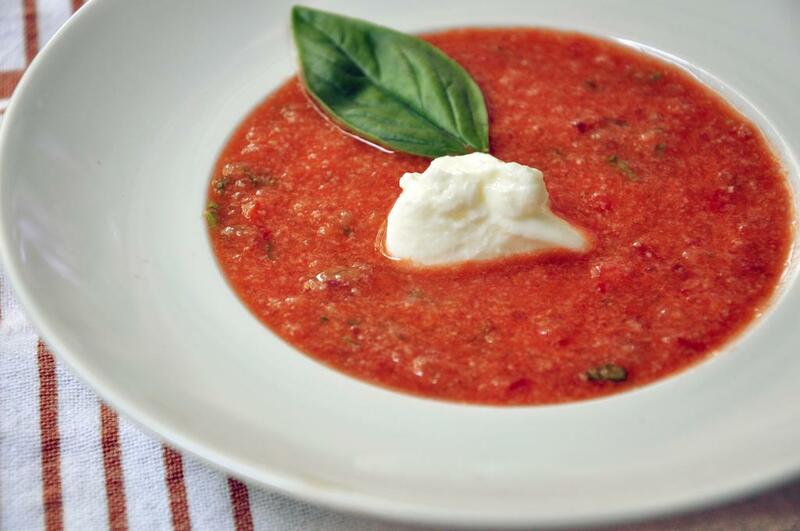 Add everything to a food processor. Pulse 3 times. Add basil and stream in EVOO while pulsing about 15 times. Remove and stir in vinegar. Divide among bowls and add garnish.